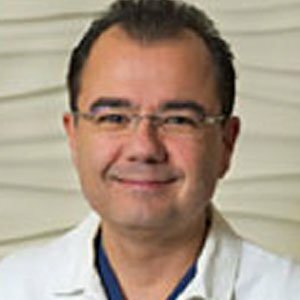 Home » About Us » Fibroid Experts » Babak Yaghmai, M.D. Share the post "Babak Yaghmai, M.D." Dr. Babak Yaghmai is Board Certified in Diagnostic Radiology with a Certificate of Added Qualification in Vascular and Interventional Radiology. Dr. Yaghmai earned his medical degree from the Medical College of Virginia School of Medicine in Richmond, Virginia. He completed his Diagnostic Radiology residency at Cook County Hospital in Chicago, Illinois and his fellowship in Vascular and Interventional Radiology at the University of Illinois Hospitals in Chicago, Illinois. Dr. Yaghmai has held academic appointments at the University of Chicago as an Assistant Professor/Interventional Radiology, as well as an Assistant Residency Coordinator. He has also authored and co-authored many peered reviewed publications, scientific exhibits and presentations. Dr. Yaghmai is currently affiliated with the Huntington Hospital in Pasadena and has played an integral role in the development of the Uterine Fibroid Embolization Program. He is also a part of the Hill Medical Coporation since 2000 and established the VenaCure program to rid people of varicose veins without the need for surgery. "My goal is not only to take care of this pain and suffering, my goal is to number one be healthy and number two I want to be able to be a mother."